Have a whole day to spend in Athens? Here’s the perfect way to do it. Athens – a city filled with victorian-era storefronts, clubs, shops and historic architecture, is by city standards small, but big when it comes to cultural contributions. Home to the University of Georgia, the band R.E.M., and many, many Pulitzer prize winners, Athens offers a temperate four-season climate with mild winters and warm summers, which allows residents and visitors to take advantage of and fully enjoy all the places northern Georgia has to offer. COLLiDE has put together the perfect itinerary for you to explore Athens for a day – from morning to night! It’s morning time, you know what that means! Coffee is a necessary part of quite a few people’s morning. Get your cup of joe at 1000 Faces Coffee on Thomas St to get a great start to your day. The coffeeshop roasts their own coffee beans and offers specialty coffee, and with a mission that is “to connect the coffee consumer and coffee producer more directly through quality, education, service, and friendly interactions,” the company believes in creating a more sustainable and responsible coffee culture. 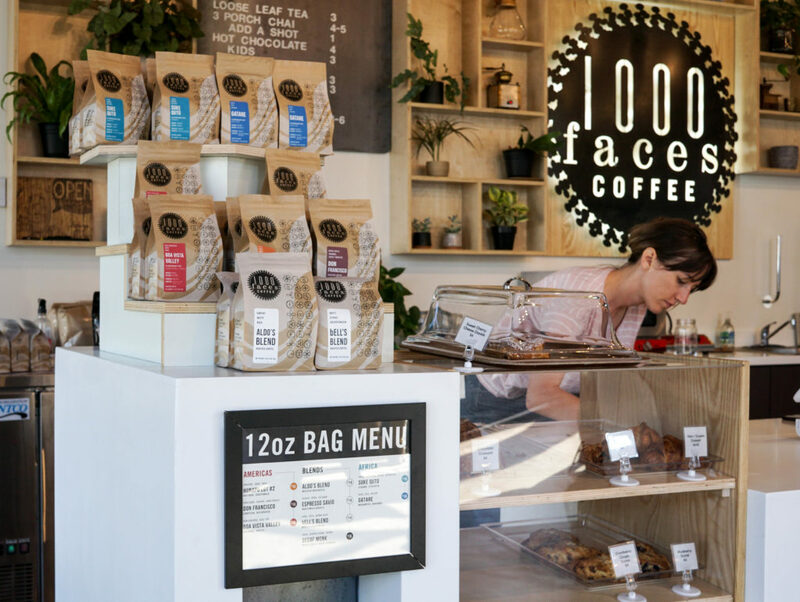 1000 Faces opens as early as 7 a.m. on weekdays, now go, go, go! Now where should we start the day? How about taking a stroll through the beautiful State Botanical Garden of Georgia? The garden is a 313-acre preserve set aside by the University of Georgia (located 3 miles south of campus) in 1968 for the enjoyment and study of plants and nature. It holds specialized theme gardens, collections, nature trails, and even a tropical conservatory(!) which makes it a perfect place to spend a couple of hours. Okay, now that you’ve gotten food in your stomach, where should you go next? How about visiting the “birthplace of public higher education” and its campus? 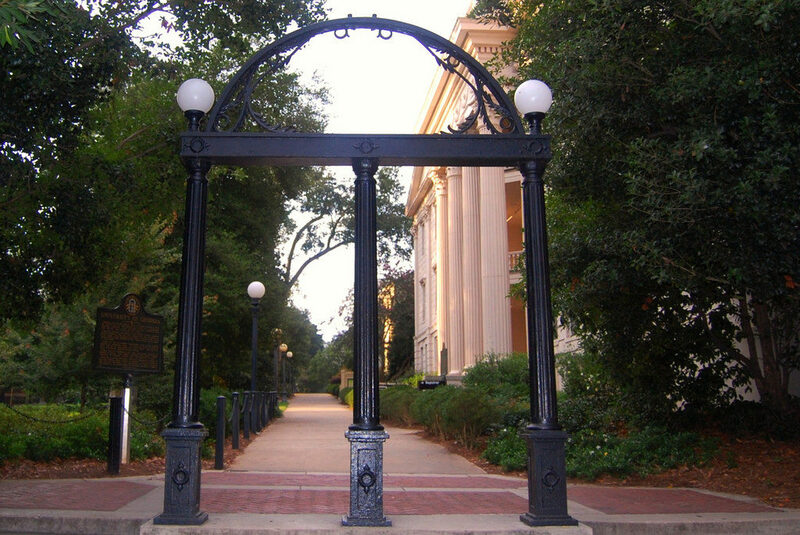 Now I know what you’re thinking, ‘is it really that much fun to visit a university?’ Well, The University of Georgia actually holds nationally recognized historic landmarks, like the UGA Arch and the Founders Memorial Garden. The Arch, which is nearly 160 years old, is an iconic symbol for the city; according to the university, ironworkers most likely forged the Arch in 1857 when an iron gate was erected to separate Broad Street and the north end of the university. The monument which first acted as a gateway for a fence, was referred to as “the gate” rather than ‘the Arch” as it is today. While you’re there, take the opportunity to also visit the Georgia Museum of Art, which happens to be on campus! Okay, it’s getting a little late, by now you probably just want to sit down with a nice cold beer and enjoy a conversation. Head over to Creature Comforts Brewery! Located on Hancock Ave, the brewery was one of the top 10 winners for Best New Brewery in 2016 by USA Today. Though they don’t offer food, you can bring your own (how about some crispy waffles from the Waffle House around the block on Clayton St?) and enjoy it with some fine craft beer! The brewery also offers locally crafted sodas, fresh squeezed juice and free tours during operating hours where visitors can purchase beer by the pint in the tasting room! So it’s getting close to nighttime, but you don’t want the day to end yet. Go see a show at the Georgia Theatre! At this historic building there is always a show to catch. Rebuilt after a devastating fire in 2009, the Georgia Theatre is part of the Downtown Athens National Register Historic District and was built as the ‘Elite Theater’ in 1935. As a live music venue, the Georgia Theatre has been the host of live performances from a very, very long list of bands. The theatre also has a rooftop restaurant and bar that offers amazing views of Athens facing both South and East, oh, and there’s free Wi-Fi! This article is from our special edition outdoors print issue in collaboration with Graduate Hotels. Click here to explore Shenzhen, China on Culture Collide.